What if you didn't have to? What if you could pay less than the price of a coffee and have a roller coaster to ride anytime you want in VR? That's the pitch that RollerCoaster Legends provides us. Does this ride set in Greek mythology offer enough thrills to justify a buy? 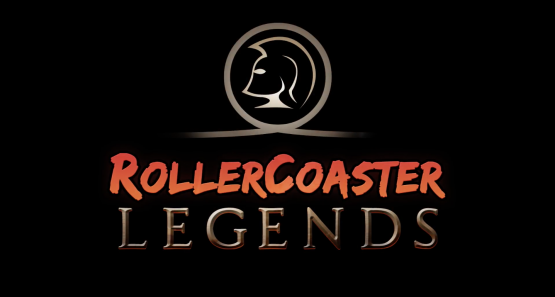 RollerCoaster Legends is a ride in VR that lasts about eight minutes. You can pause at any time and look around, or reset it and start from the beginning whenever you like. The ride takes you through several different settings, all inspired by Greek mythology. You'll see the Palace of Hades, the Temple of Poseidon, and even the bowels of Tartarus. The ride itself is rather passive. You can look around and take in the sights, but you're otherwise confined to the minecart you find yourself in throughout the ride. While much of it is on a traditional track, the game will take you on detours through interesting and intense areas. Some roller coaster purists may cry foul, but I enjoyed the wide variety of scenery and locations during the ride's runtime. There's no story or narration, and while some would have been welcome, the ride itself is pretty exciting on its own. I would have enjoyed one of those ominous narrators that sets the stage for the ride or foreshadows some dark design, but it's still a fun experience. The design of the coaster is interesting. It uses portals to take you from one location to another. While I appreciated the variety in the locales, the sudden transitions made it feel like pieces of separate rides instead of one cohesive whole. With your controller, you can pause or reset the experience, but otherwise, you will sit back and enjoy the ride. The pause button is a nice touch because it lets you stop the ride at any point to look around or take screenshots. One thing that developer WarDucks championed with this release, was their confidence in a lack of motion sickness. You would think that a roller coaster would be synonymous with motion sickness, but I had several people try out RollerCoaster Legends with little to no complaints. One participant, someone who routinely complains of motion sickness in VR, had a great time with this ride. In this regard, RollerCoaster Legends is a great experience to show friends and family who aren't gamers or are new to VR. The graphics in RollerCoaster Legends look great in VR. Everything is crisp and blur in minimal. The sense of scale and motion feels good, but the ride never pushes you to the point of sickness. That being said, I would have liked a few more intense drops and maybe just one loop, but these things would most likely cause certain players to get sick, so I understand the balance. The portal system makes the ride more jarring than it needs to be, so a smoother transition would have been preferred, but I had a great time riding this roller coaster, and so did several of my friends. It only lasts eight minutes, but the price is right and it's a great fit for those who want to show off VR to their friends and family. I would love to see WarDucks come back with an experience that includes several rides or a virtual theme park. 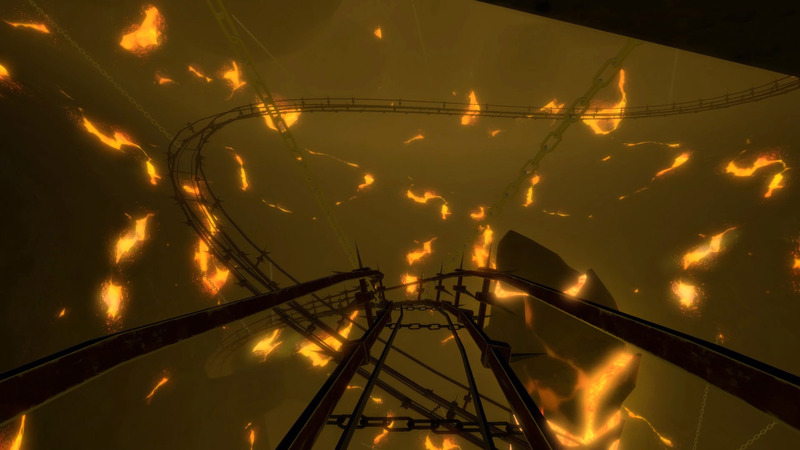 In the meantime, VR thrill seekers will have some fun with this mythological roller coaster.